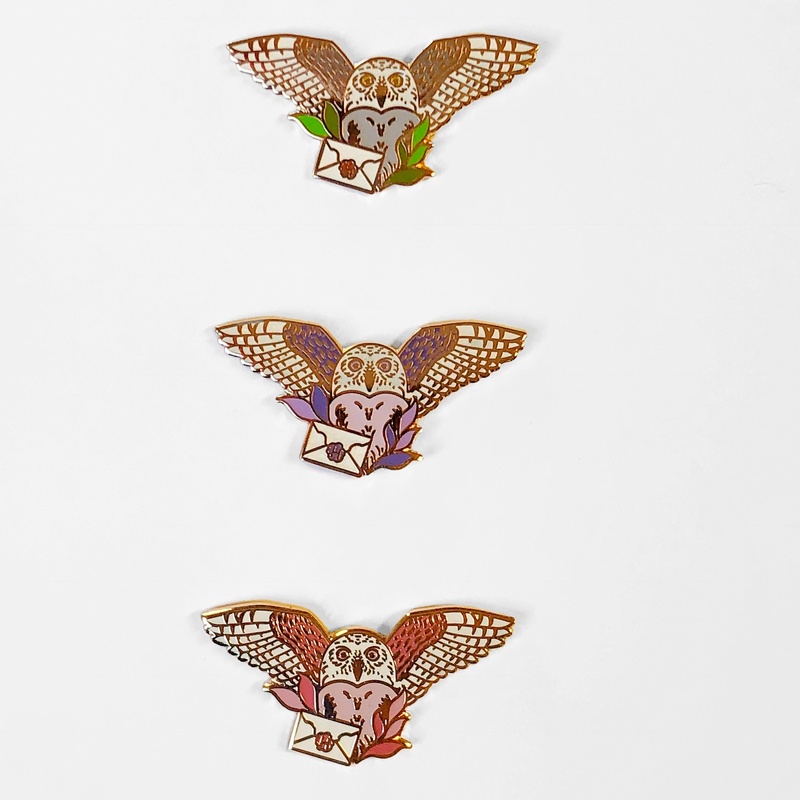 This pin is a warm rose gold and features an owl holding a letter. It’s about 1.25” wide. It comes in theee color options. Pinks and white, purples and glitter white, and a green, grey, and red option.